During the cold season, one of the things I value most is my running gear. To be precise, the balaclava is my best gear during winter, and I have literally worn it every single day throughout this freezing period. So what is this special gear, and why do you need one? Here are the balaclava that I include with links so you can check pricing on Amazon. They come in different styles, colors and shapes. Once you have the relevant factors in mind, it can be easier to find the perfect balaclava for running. Here are five of my favorite balaclava I would recommend. This balaclava is one of the best running masks for cold weather, and I love it because of its fantastic design and functionality. It is the perfect choice for the winter season, and you can be sure of feeling warm and comfortable with it. Other than that, this balaclava can be worn by both genders. It has been designed for anyone and everyone. Another amazing feature of this gear is that it has been designed to be worn in different styles. You can wear it as a half or full-face mask, closed or open balaclava, or as a partial mask. If it is too cold, you can wear it fully to cover the face. You can also wear this gear on a warm day; thanks to the premium fabric. The fabric reduces heat loss and wind chills while blocking the outside airflow. Even with the high-quality fabric, this balaclava is still breathable. It is both soft and strong enough to serve you for the longest time possible. I have had mine for close to two years now, and it is still in good condition. Strong winds, rain and cold temperatures slowly destroy the outer layers of skin resulting in dryness and a dull complexion. 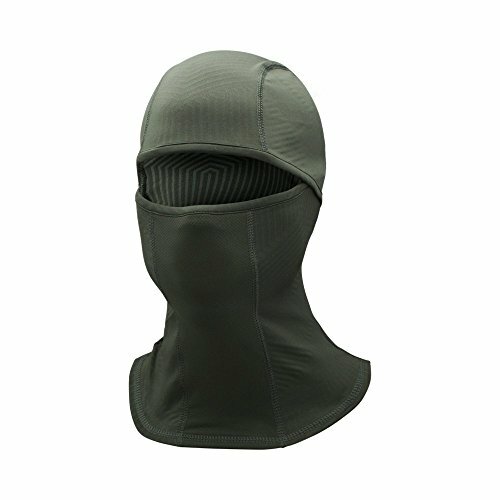 The Toplor Balaclava is uniquely designed with the highest-quality polyester and mesh to provide maximum protection from the elements. Run Far Girl points out this amazing balaclava by Nike is tremendous. This accessory is a great choice to keep your face warm on a chilly day. I have worn this piece, and I was impressed by its coziness as well. If you want a good replacement for the hat and neck warmer, this is what you should choose. This piece can serve you perfectly regardless of the coldness of the day. It also stretches down to the neck to keep you warm and protected. If you have breathing disorders, you might find it somewhat challenging to breathe easily under this balaclava. Other than that, it is a perfect piece to consider. Hyperwarm fabric technology keep athletes warm, dry and comfortable. Flat lock construction allows for better fit and zero distractions. Form fitting comfort on its own or under the helmet. Offers full facial protection that extends below the neckline. Converts to a full neck gaitor. One size fits most. 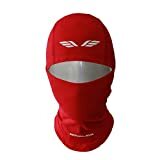 Runners 101 cites this Nova Lava balaclava among the best running accessories for the winter. Nova Lava is a well-known brand that delivers high-quality sportswear, so you can be sure of getting the best of this balaclava. The design and material of this accessory are what make it a top choice. It is made from a thin and light fabric to enhance the comfortability and flexibility. With such a design, you will not worry about sweating or experiencing too much heat when you run. Also, it features a UVB/UVA protection to protect your skin from the radiation when you are running outside. 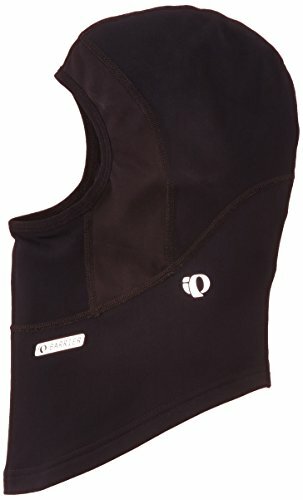 I love this balaclava because it is easy to wash, either in the machine or with your hands. If you are giving it a machine wash, ensure that you follow the directions to maintain its condition. The light and thin fabric gives more flexibility and comfortability and it keeps you cool and dry during workout. Made in Korea. 92% Polyester and 8% Spandex. Machine Washable. This is yet another great balaclava you can consider for running. It has been designed with a special technology to enhance the comfort and flexibility. The balaclava features an infrared technology that keeps the heat inside and the cold outside. It has been designed to cover the entire face when it gets too cold. Also, you can drop the front part under your chin or nose, depending on the heat level. This is also good if you are panting and you need more airflow. The best feature of this gear is the anti-odor technology. With this technology, you will not have to worry about it smelling from the previous use, even without washing. This balaclava is a great choice that you should consider during this cold season. You can also choose the style that suits you perfectly. If you live in a not-so-cold area, this balaclava is a great choice to consider. It comes with a unique design, and it lets you breathe freely while still keeping your face and neck warm. The balaclava is made with a fast drying material to prevent soaking when you sweat. It is partially breathable, though you can pull it down if you have any difficulty. If you are going for a jog in the evening, this balaclava will serve you perfectly; thanks to its reflective elements. If you are a devoted runner like myself, you obviously know what this gear is. But let me extend my helping hand to the novices. A balaclava is a headgear that has been designed to cover the entire head, including the neck and three-quarter of your face. However, there is a cut-out section around the eyes area. Basically, it looks like the head/face gear that is mostly worn by the ninjas. Maybe some of these ninjas purchase the balaclava to hide their identity, or do they? Anyway, that is not the major reason for wearing this gear. So why should you consider a these cold weather running masks as a runner? Why Do You Need A Balaclava For Running? Any professional runner would tell you always to train well for you to make your running time swift and easy. While that is absolutely true, I normally advise my trainees to have the right gear before they hit the tracks. If you have the right gear, you can be sure of enjoying your run, and also enhancing your performance. That said, here are some of the major advantages of purchasing a balaclava for running. It keeps your face warm. Anybody could guess that this gear is meant to keep your face warm. 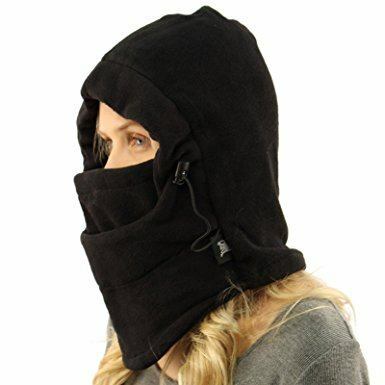 It also stretches down to the neck area, thereby keeping your entire face and neck warm enough. Keep in mind that some balaclava will not fully stretch to the neck. Since the face will be fully covered, except the eyes area, you can enjoy running even on the coldest day. Minneapolis Running points out the importance of wearing a balaclava when it is freezing. It protects your skin. Other than ensuring that your face is warm enough, the balaclava will also protect your skin from any harm. The gear can either protect your skin from scratches, sticks, or branches in the woods or even flying insects. Also, extreme cold can make your skin dry. You can be sure of benefiting a lot from the balaclava as you run in the cold. You need to be comfortable and also protect your skin. So ensure that you get yourself a good balaclava. 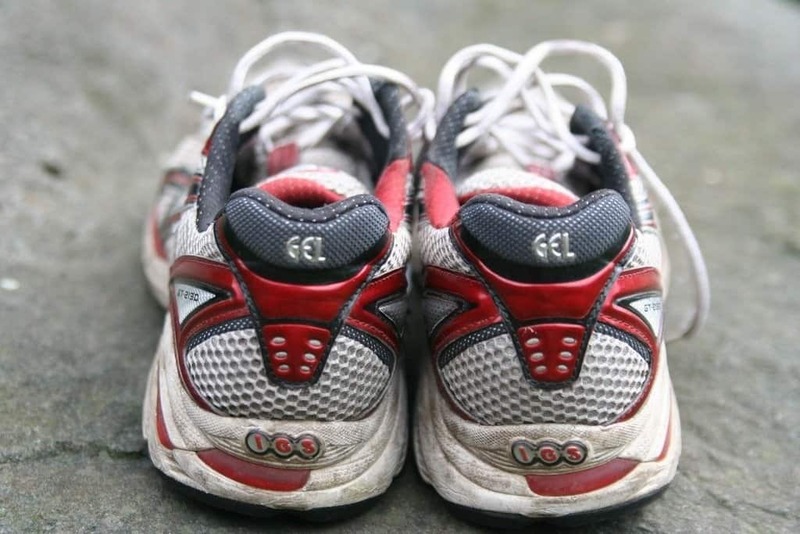 Most of the novice runners tend to rush to purchase their running accessories, without taking their time to choose wisely. I have seen many runners complain that they purchased a faulty gear, which did not deliver as they expected. The problem here is that they didn’t consider the relevant factors. So how should you choose the perfect balaclava for running? Here are 4 tips to help you choose the right one for you. These accessories come in different sizes, which you should choose wisely. The size of your head and type of face is a great factor to consider. Ensure that you choose a balaclava that fits perfectly without being too tight on you. Check that you choose one that goes well with the shape/type of your face. This is another major factor you need to keep in mind when in search of a good balaclava. The material you choose will determine if it will keep you warm enough even on the coldest days. It should also be comfortable enough to let you enjoy your run. Fleece tends to be the most popular choose. In the beginning of the evolution of balaclavas wool was the most popular. Other materials used now are silk, cotton, polypropylene and neoprene. ​Since these accessories have been designed to cover the nose area as well, you will have to be sure to choose one that lets you breathe with ease. Yes, it might be breathable, but it may not let you breathe easily as you run. I know, you might wonder how flexible the balaclava should be, even though it is already elastic. However, the thing here is that you should choose a balaclava that lets you turn your head easily. For that, check that it has a good design that enhances the flexibility. Though it is not such a big deal, you should also consider the brand of the balaclava. Ideally, purchase one from a dedicated sports gear manufacturer. This will help you find the perfect accessory to keep your face and neck warm in the winter season. Cozia Design helps you understand more why you need the balaclava for running in the cold weather. Remember to choose a decent balaclava to avoid looking weird. 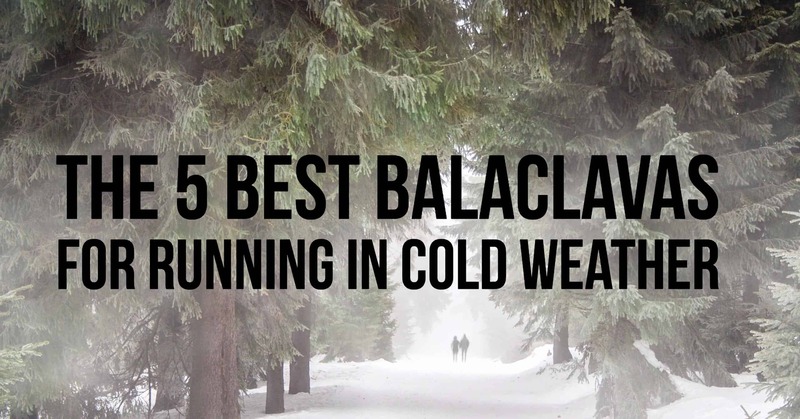 Balaclavas are must-haves if you really have to run in the cold. Just because it is cold outside doesn’t mean that you should remain indoors. Get yourself the best balaclava that will serve you well and let you enjoy your running.